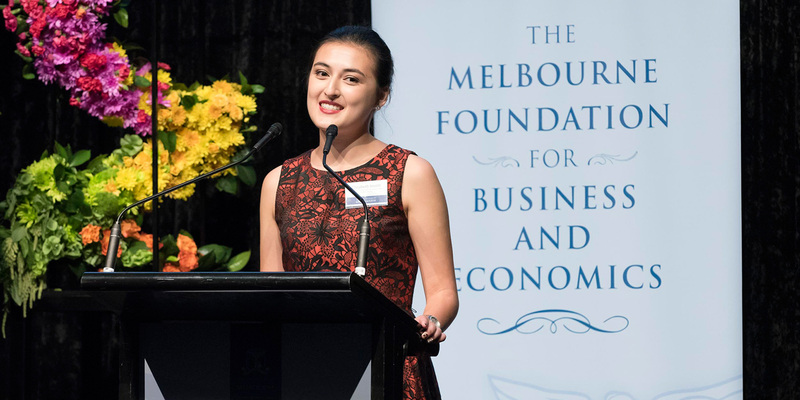 Melbourne Foundation for Business and Economics Dinner 2016. 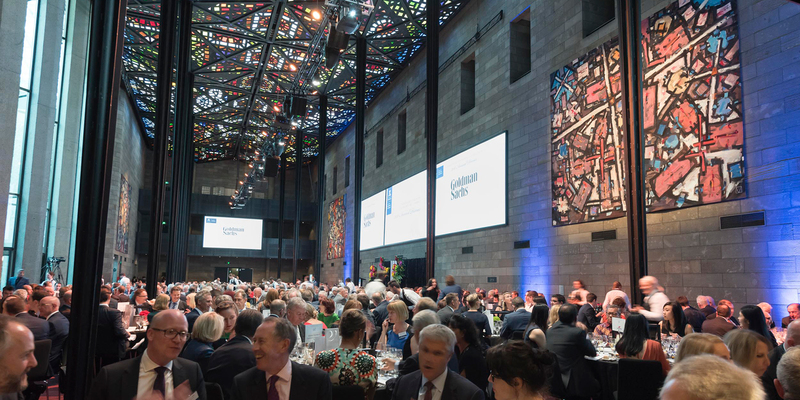 The National Gallery of Victoria once again played host to the Melbourne Foundation for Business and Economics Annual Dinner, held on 3 March 2016. This was the sixth Foundation Dinner, with more than 650 guests in attendance, including a record 65 corporate sponsors. Tony Burgess (BCom 1980), Chair of the Foundation, set the tone for the evening in his welcome address. 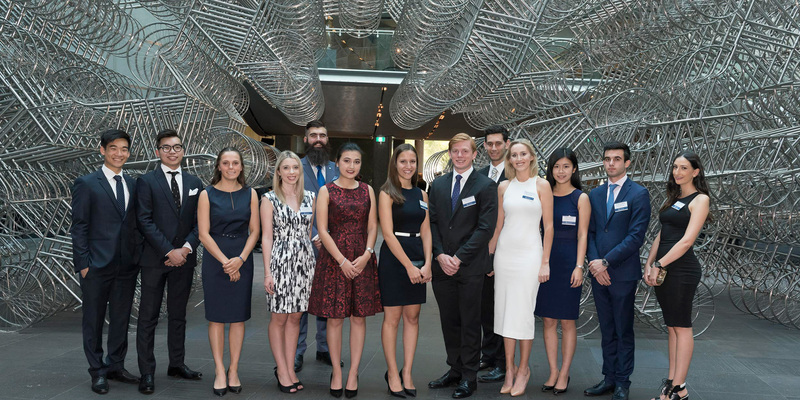 Before an audience brimming with some of Australia’s most influential business leaders, Mr Burgess emphasised the global impact of a Melbourne business and economics education and called the dinner a “celebration of the enduring value of education”. Professor Paul Kofman, Dean of the Faculty of Business and Economics, gave guests an insight into the scale and quality of the Faculty’s educational offering. With 6000 undergraduate students enrolled in the Bachelor of Commerce, and 3000 graduate students enrolled in masters programs, more than half of whom are international students, Professor Kofman told guests that the Faculty is “truly an international educator”. Mr John Fraser, Secretary to the Treasury, delivered the keynote address, presenting an historical overview of Treasury’s role in the Australian economy over the past 40 years and highlighting the importance of encouraging talented graduates to join Treasury. 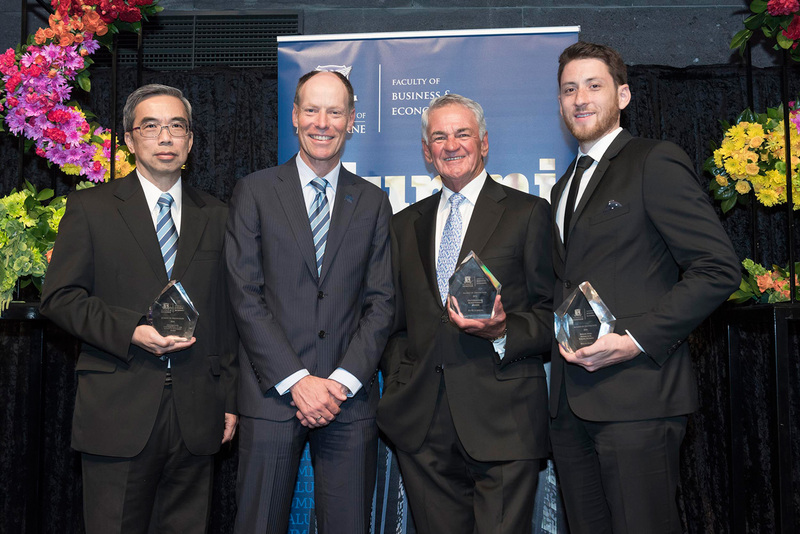 Contributing to the atmosphere of celebration was the announcement of the 2016 Alumni of Distinction Awards, recognising Business and Economics alumni for significant achievements in their chosen field. In accepting the award for Outstanding Achievement, Mr Peter Scanlon AO told those gathered that his education at the University of Melbourne was the “cornerstone” of his life and career. Ms Elizabeth Smith, third-year Bachelor of Commerce student and recipient of the Premier Fruits Group First in the Family Scholarship was the embodiment of the theme. She described how her scholarship enabled her to undertake exchange study in South Korea and Taiwan that in turn helped her gain first-hand experience of international marketing strategies, and how pursuing a degree had exposed her to the possibilities for her future that once seemed abstract. “You can be anything,” the marketing major quoted from an advertising campaign that had inspired her, but she clearly demonstrated that such a slogan could only become a reality through the combination of education and aspiration. The dinner raised more than $600,000 for the Foundation, further cementing the connections between the Faculty and the business community.